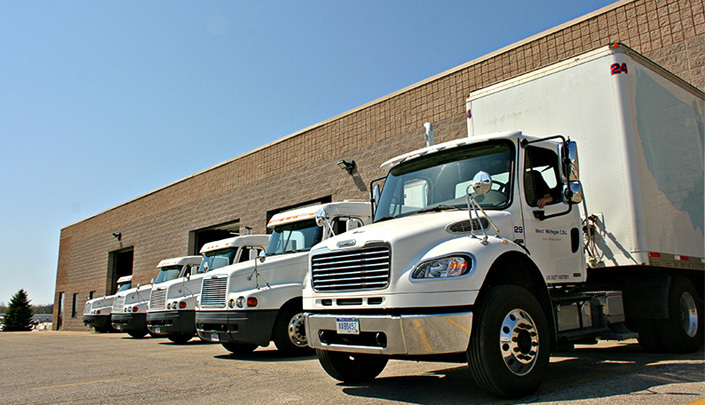 West Michigan CDL is known as the leading truck driver school in the entire state. We provide a facility with advanced equipment and the most educated truck driving training instructors. We will give individual truck driving training instructions from the most experienced instructors. WMCDL is the truck driving school that will offer behind the wheel truck driving training. If you live in Battle Creek and are seeking the best truck driving school then choose us! WMCDL has a devoted job placement team that can help you find a job, sometimes even before you even start truck driver training. Battle Creek, Michigan is a city in Calhoun County and is located where the Kalamazoo River and Battle Creek Rivers meet. Battle Creek is nicknamed “The Cereal City” because that is where John Kellogg invented breakfast cereal. Companies choose graduates from WMCDL because they know our students will have the most on the road experience and truck driving training. We provide a variety of financial resources and job placement to ensure you have multiple driving opportunities. Choose WMCDL to get the comprehensive truck driving instruction from a reputable truck driving school. WMCDL is the most flexible truck driver school because we provide day-time, evening and weekend truck driver training. Our four-week CDL training program is held in modern facilities with top of the line equipment. The experienced instructors at WMCDL offer insight on real-life scenarios and will give more hands-on, in the driver’s seat experience than any other CDL students. WMCDL is a truck driving school that provides the most educated instructors and behind the wheel truck driving training. If you want your education from the top truck driving school, then call West Michigan CDL today at (888) 550-4947 to ask about our programs.